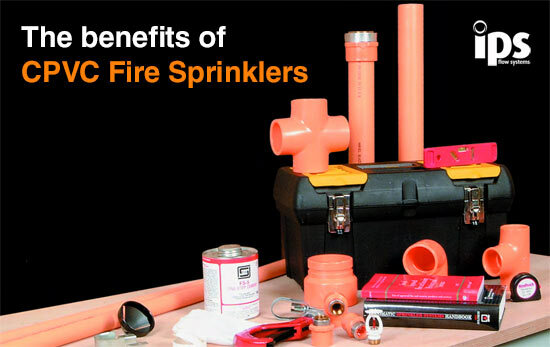 Fire sprinkler systems made from CPVC offer a number of unique features and benefits and are an effective alternative to metal pipe fire sprinklers. No other fire sprinkler system offers all the advantages of CPVC with unsurpassed fire protection. Simple, easy installation. Proven long-term reliability. And all at significantly lower installed cost. CPVC fire sprinkler systems are simply the best choice for cost effective fire protection. Read more about the CPVC fire sprinkler piping range here.